To mark the 30th Anniversary of the Pan Am 103 tragedy, INTEL TODAY will re-post one of our best Lockerbie stories every Wednesday until the end of the year. We would like to know what you think. Please, take this poll and encourage your friends to participate. Here is a couple of emails exchanged between Richard A. Marquise — the former FBI agent who led the US side of the Lockerbie Investigation — and myself on September 6 2008. “I really have to disagree on the timer fragment as unless there is a big, big conspiracy–involving the Scottish police and the FBI and the CIA and lots of other people–why can we not agree it was found the way it was claimed? I saw the supposed evidence card which was changed from cloth to debris. Without answering exactly what happened as I do not know–I know that when the fragment was found, no one knew what it was not even where it was–it was imbedded within cloth. Now, I have no idea why someone would change the evidence card (I am not sure what to call it but it was a piece of cardboard which documented what the item was and had writing on it) as it seems a simple enough fix–the one piece was a fragment of Yorkie and what was in it was a few other items of debris, one of which was PT-35. As I get older and progress towards the inevitable end, I feel strongly about answering this question, as honestly and accurately as I can. I will do so in the simplest possible way. 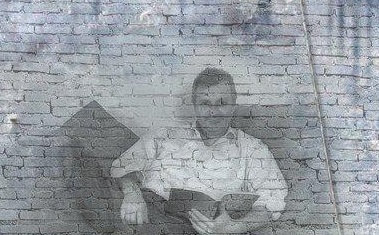 Later, I will provide all the supporting evidence that I was able — thanks to many good friends — to collect over the years. I hope that you will see that the evidence of a “big conspiracy” is indeed overwhelming. Of course, as I pointed before in relation to this case, “There are none so blind as those who will not see.” But the evidence is undisputable: PT(35)/b is a forgery. This fragment was eventually matched to a timer (known as MST-13) discovered among the weapons and material seized from rebels after an attempted coup in Togo on 23rd September 1986. The identification was made in the mid-1990 by FBI Thomas Thurman, with some help from the CIA. In February 1988, the CIA became aware of another MST-13 Timer that was found in luggage “belonging” to a Libyan citizen travelling to Dakar, Senegal. That device was easily traced to MEBO, a Swiss company, because of a similarity to a device that had been found in Chad in September 1984. The MST-13 had been supplied “solely” to Libya. The match between PT/35(b) and the main board of the MST-13 timer looks obviously excellent. Perfect indeed. But appearances can be deceptive. A printed circuit board (PCB) mechanically supports and electrically connects electronic components using conductive tracks, pads and other features etched from copper sheets laminated onto a non-conductive substrate. PCBs can be single sided (one copper layer), double-sided (two copper layers) or multi-layer (outer and inner layers). FR-4 glass epoxy is the primary insulating substrate upon which the vast majority of rigid PCBs are produced. A thin layer of copper foil is laminated to one or both sides of an FR-4 panel. Circuitry interconnections are etched into copper layers to produce printed circuit boards. Finally, the copper tracks are “tinned”, either with a lead-tin alloy or pure tin. No copper was found except at the edge exposed by the cutting of the sample. Dr Wilkinson suggested that this was because in DP/494 had a greater thickness of tin/lead metal covering the copper. could find no trace of lead on the copper track she tested, only copper and tin. Lockerbie investigator John Ashton received confirmation from THURING that the boards suplied to MEBO had all copper tracks covered with a lead-tin alloy, unlike PT/35(b) which was covered with pure tin. During the trial in 2000, there were suspicions about how PT/35(b) had been discovered and reported on by government scientists. The trial judges had discounted these suspicions. Then in 2009 the al-Megrahi defence team made a startling discovery. In the years since the trial and first appeal they had managed to obtain a huge set of documents from police and Scottish Crown archives. Among the documents was the forensic notebook of scientific witness Allen Feraday. He told the trial judges: “the fragment materials and tracking pattern are similar in all respects” to that of the MST13 timer. The first recorded that tracks on fragment PT35(b) were protected by a layer of “Pure tin”. 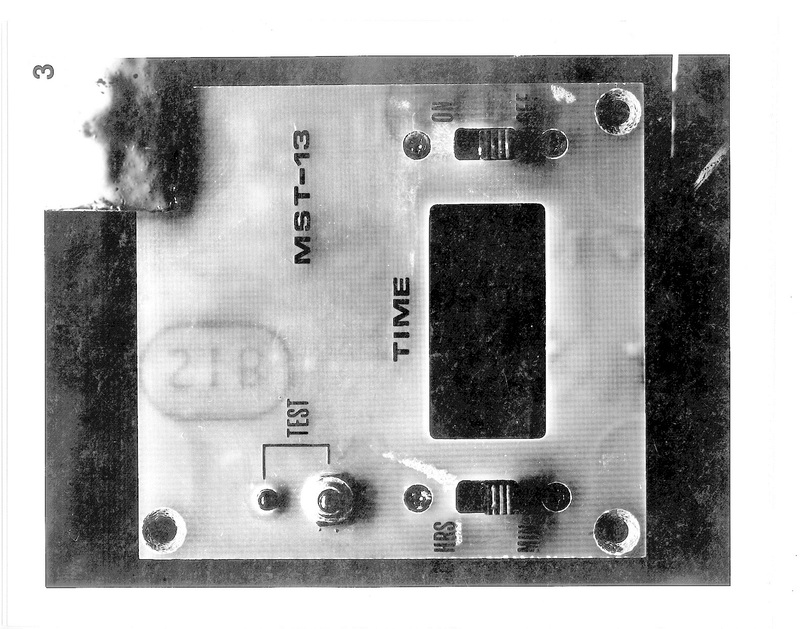 The second said that tracks on the circuit of a control sample MST13 board were covered by an alloy of “70% tin and 30% lead”. Feraday and the police were fully aware of the difference. 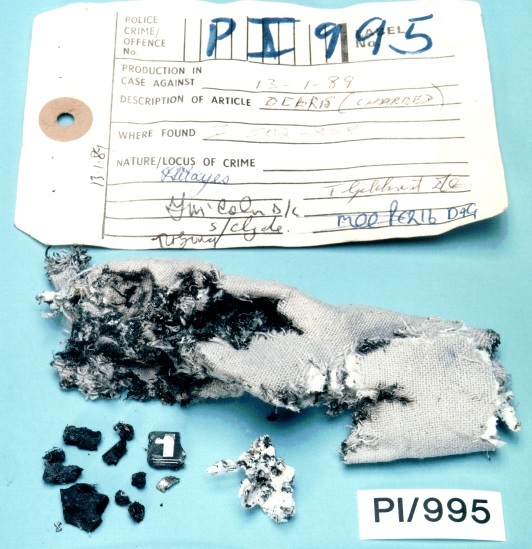 Two police scientific advisers suggested that the heat of the explosion might have evaporated the lead content of the alloy, leaving pure tin. Another police adviser working for Ferranti International noted that fragment PT35(b) had indications of being “home made”. Neither the scientist’s reports nor the Ferranti letter were followed up. All remained hidden in police files. The judges and defence team were unaware of their contents. In the light of this new information the defence team consulted two prominent independent experts in the field. The experts repeatedly heat tested the evaporation theory with temperatures exceeding that of the bomb explosion. But the alloy of 70/30 tin/lead remained just that. According to a well-informed source, THURING AG always ordered the Copper Clad Laminates from a Swiss branch of ISOLA: Schweizerische Isolawerke AG in Breitenbach (SIB). In early 1990, the resin of a board from ISOLA (Switzerland) was tested and definitely ruled out as the source of PT/35(b)! Let us go back to the Timeline Part II and in particular to the entry dated 8 March 1990. After the visit to Ciba Geigy on 8 February, he [Harrower] made contact with a number of companies involved in the production of fibreglass laminate used in the manufacture of PCBs, and obtained samples of the various laminates they produced for comparison with PT/35(b). He received in total 23 different sample laminates from producers in Europe and the Middle East, which he understood covered all the production companies, and he produced DP/143 (prod 337), a schedule showing the laminate samples and suppliers. Now, let us take a look at the MEMO of Williamson dated 03/09/1990. Among the 23 samples, there are three from ISOLA, including one from ISOLA Switzerland. And yet, the report goes on with this conclusion. BTW, the idea that heat of the explosion modified PT/35(b) is of course nonsensical and results from a misunderstanding of what constitutes an explosion. During the explosion, the temperature is very high but the heat transfer is rather small. In any case, the presence of an unmelted soldering lead blob on the fragment is proof that PT/35(b) was certainly not exposed to much heat transfer! Before and after the identification of PT/35(b), the police consulted a British company called Circuit Foil UK about the copper used on both PT/35(b) and the Thuring boards. One of their projet managers – Michael Whitehead – looked at both PT/35(b) and DP/347(a) – The Thuring board supplied to MEBO – and concluded that the copper on the Thuring boards had been made earlier. Unfortunately, the police officers seemed to have completely misunderstood his statements. The consequences are far-reaching. His statements clearly support the theory that the board from which PT/35(b) originated was produced at a later date than the Thuring boards. There is a good reason to believe that this copper was not produced — at the earliest — before the end of 1989. If true, it would be proof that PT/35(b) was fabricated AFTER the Lockerbie tragedy. It would also destroy the “legend” that PT/35(b) was examined by Dr Hayes and Feraday in May 1989! On 06/03/1992, Police officers travelled to Circuit Foil UK (formerly Yates Circuit Foils) at Silloth, and interviewed Michael Whitehead, who examined the matt side topography of the copper tracks on DP/504 (label 406) by using a scanning electron microscope and produced 2 micrographs, A and B, designated DP/508 (prod 347). That is to say, this surely indicates strongly that PT/35/(b) was manufactured later than the board provided by Thuring. RELATED POST: DP/10 : Evidence of Fabricated Proof? I understand that some experts are willing to testify on camera that their findings were not reported correctly by the investigators. I. The “Tinning” of PT/35(b) is wrong. (Pure Tin for PT/35(b) vs Tin/Lead alloy for the Thuring boards). II. The density of the copper nodules on the “Matte” side of the copper foil is evidence that PT/35(b) was built on a copper clad laminate manufactured after the time the THURING boards delivered to MEBO in 1985 had been produced. It is abundantly clear that the fragment PT35(b) did not come from a Thuring circuit board supplied to MEBO to fabricate the MST-13 timers delivered to Libya. As the Yanks like to say: “Three strikes and you are out.” How PT/35(b) was made and by whom remains a mystery… But ask yourself a simple question: Who on earth had means, motive and opportunity? Swiss Inspector Hans Knaus suspected the CIA of having planted PT/35(b) among the debris of the crash in order to incriminate Libya. I believe that Knaus is right and I suspect that he KNEW that the CIA had done it before, not once but twice! (The first time in Togo 1986 and the second time in Senegal 1988). The CIA knew everything about MEBO since 1984. Swiss Inspector Peter Fluckiger met with MEBO employee Ulrich Lumpert on June 22 1989. On June 6 2008, Lumpert told me that he gave a MST-13 timer prototype — as well as various related documents — to Fluckiger during that meeting. “During a recent investigation in Switzerland our team managed to get our hands on an official government document which confirms that in June 1989 Swiss Police did receive from a MEBO – source documents and materials in relation to MST timers. REMEMBER: This is one full year BEFORE Super FBI Genius Tom Thurman identified the link between PT/35(b) and MEBO. (June 15 1990). Jack Anderson and Dale Van Atta claimed that the Lockerbie investigation switched from Iran to Libya following a phone call in March 1989 between George H W Bush and Margaret Thatcher. [Van Atta recently confirmed the story.] What happened? In July 1988, Ayatollah Hussein Ali Montazeri was the designated successor of Ayatollah Ruhollah Khomeini — known to be very ill — who used to call him “the fruit of his life”. Then, on 26 March 1989, Khomeini strongly denounced Montazeri’s actions. [Criticism of the Summer massacre, Salman Rushdie, and so on.] A couple of days later, Khomeini announced that Montazeri ‘had resigned his post’. The demotion of Montazeri was a “game changing” event. After March 26, it may no longer serve the US/UK geopolitical interests to blame Iran. Khomeini was rumored to be at death’s door. If pragmatic new leaders — “friendly” enough to seek a solution to the hostages crisis — could succeed him, it would be totally counter-productive to blame Iran for the action of the old regime. This would only serve the interests of the hard-liners. Thus, ‘Let us wait and see what happens next’ became the Lockerbie policy after March 1989. Ruhollah Khomeini died on June 3rd 1989. Rafsanjani was instrumental in securing a quick solution to an urgent crisis. On August 3rd 1989, Rafsanjani was elected Iran’s president. Rafsanjani was — of course — well known to the US policy makers as he was instrumental in the infamous Iran-Contra scandal. In the following weeks, PT(35)/b really ‘surfaced’ and a CIA document — dated September 1989! — links Megrahi to Pan Am 103 for the first time. That is long before the Lockerbie investigators — including the FBI agents — ever heard of him! And the obvious “culprit” was Libya. An indictment – without a chance of a trial — was the perfect solution. The US would easily obtain — with a bit of “wheeling dealing” — a UN resolution (or two) against Libya, thus making an example of their favorite “punching bag”. For Thatcher, it was also a path to end the supply of Libyan weapons to the Provisional IRA who had almost succeeded in assassinating her and came very close to destabilize the UK. If there ever was an era of “Unilateralism”, it was that period. In some circles, the final “Lockerbie Solution” must be viewed as a brilliant strategic victory. For those who lost a relative at Lockerbie and wanted nothing but the truth, it is a bitter story. The watermark “S I B” visible on the main board of the MEBO MST-13 timers clearly indicate that these boards were produced by a Swiss branch of the ISOLA Company. Well, at least visible to anyone except to the experts of the CIA and Special Agent (“Explosive expert”) FBI Tom Thurman who managed to read “21B”, as I explained in: The THURING Board Watermark: FBI Analysis ). That mistake was of course necessary to ruin the forensic investigation and build the case against Libya. Had the SIB logo been read correctly, the case would have collapsed on the spot! 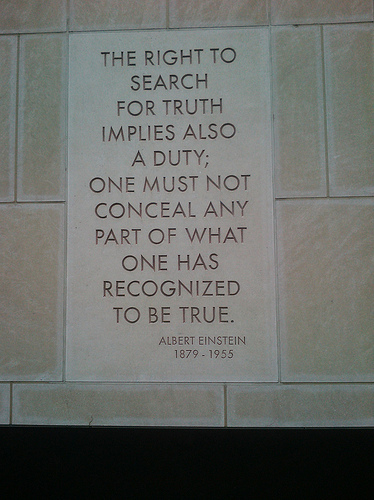 “The most cursory look at yesterday’s posting — which shows the watermark in its true aspect — shows the marks to be SIB. There is no way on earth it could be 21B when viewed correctly. The K1 timer was taken to pieces, analysed under microscope, its components tested, its circuits deconstructed in ideal lab conditions under optimal light conditions by the FBI and yet we are supposed to believe that the watermark when correctly viewed could look like 21B. This looks to me very like an attempt to mislead. A simple search of trade catalogues would give you SIB’s manufacturer in a couple of hours. It appears that the image above is viewed via high-powered light and shows the watermark on the underside of the PCB. Even so, it is clear that the B is upside down as the smaller of the two loops on the B is on the lower/bottom of the watermark. I wish to thank all those who helped me to understand this affair. I cannot name all of them. They know anyway how much they helped me and that is all that counts in the end. Nevertheless, I would like to thank the following persons: William Tobin (FBI), Fred Whitehurst (FBI), Richard Marquise (FBI), Bob Baer (CIA), Pat Lang (DIA), Bani Sadr (President of Iran), Abou Diouf (President of Senegal), Pr Robert Black (Architect of the Lockerbie trial), Hans Kochler (UN Observer at the Lockerbie trial), Dr Jim Swire (UK Lockerbie Family), John Ashton (Author, journalist and Lockerbie investigator), George Thomson (Lockerbie investigator), Otto Hostettler (Investigative reporter for the Swiss magazine BEOBACHTER) and Paul Feeney (UK terrorism expert). This entry was posted in Lockerbie and tagged Lockerbie. Bookmark the permalink. Ludwig Yet another excellent piece of dissecting the false trail of evidence presented to the Court. As a former Scots lawyer I am utterly ashamed of the horrible miscarriage of justice that is Lockerbie, which saw a plainly innocent man convicted of the biggest mass murder in modern Scottish history.